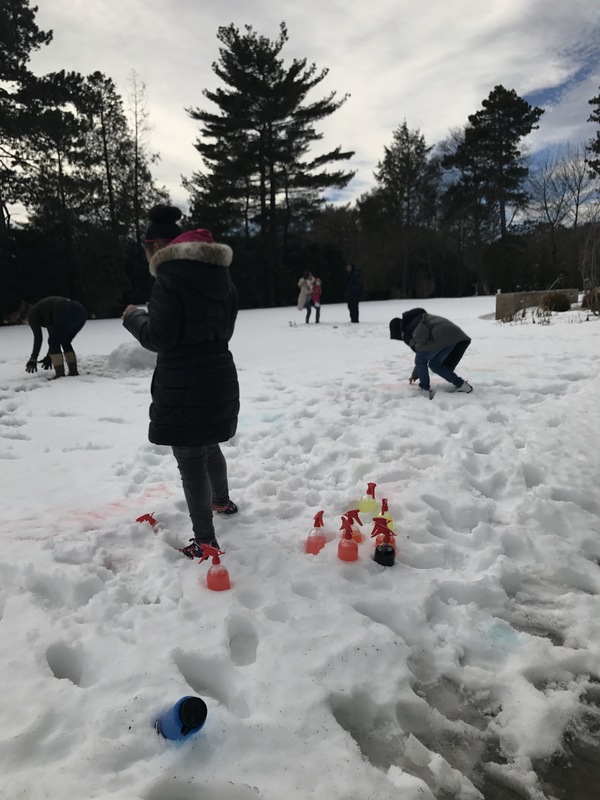 Balmy temperatures ensured that people were out and about on Sunday February 19th as students came to enjoy the beautiful weather at the McMullen for our very own Snow Day! 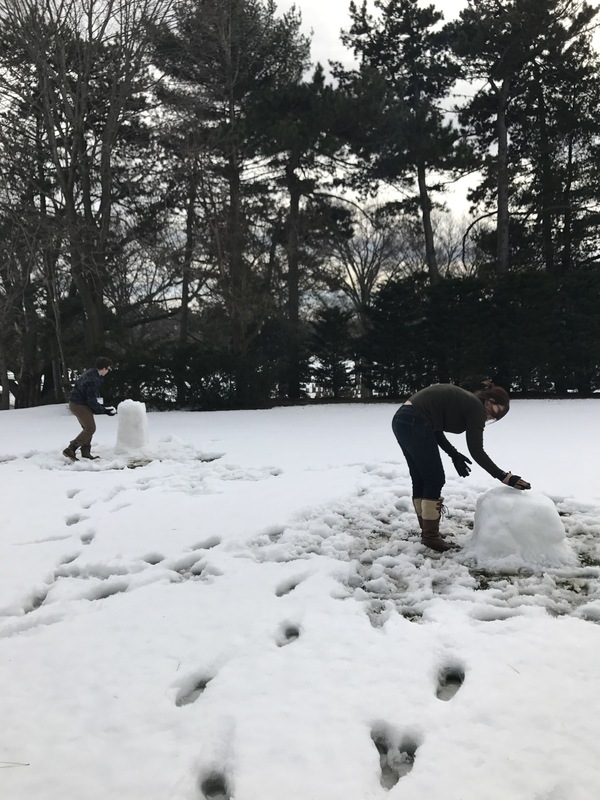 Students took a break from studying to drink hot chocolate and play in the snow before it melted. 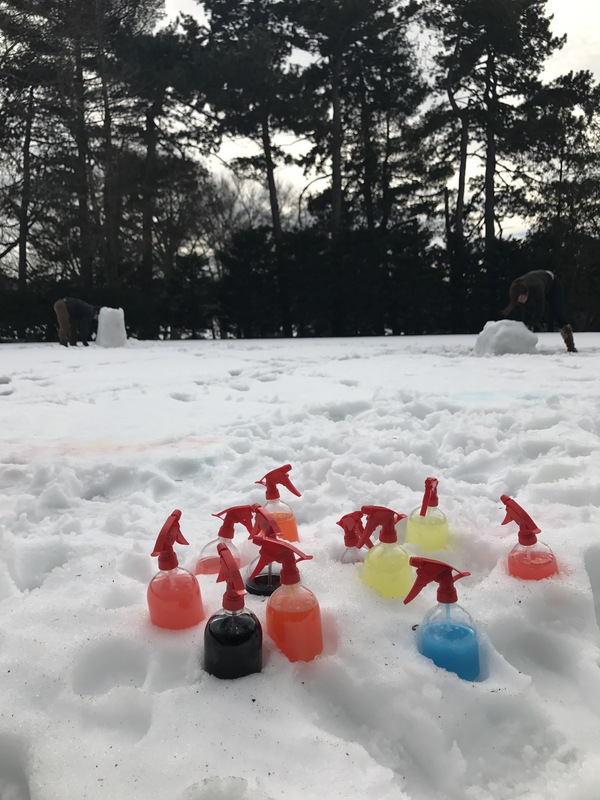 Outside on the lawn, students and visitors of all ages made towering snow sculptures, while others sprayed their names into the snow with multi-colored snow paint to create designs reminiscent of Rafael Soriano’s abstract shapes. The weather was warm enough to work on these masterpieces without a coat. 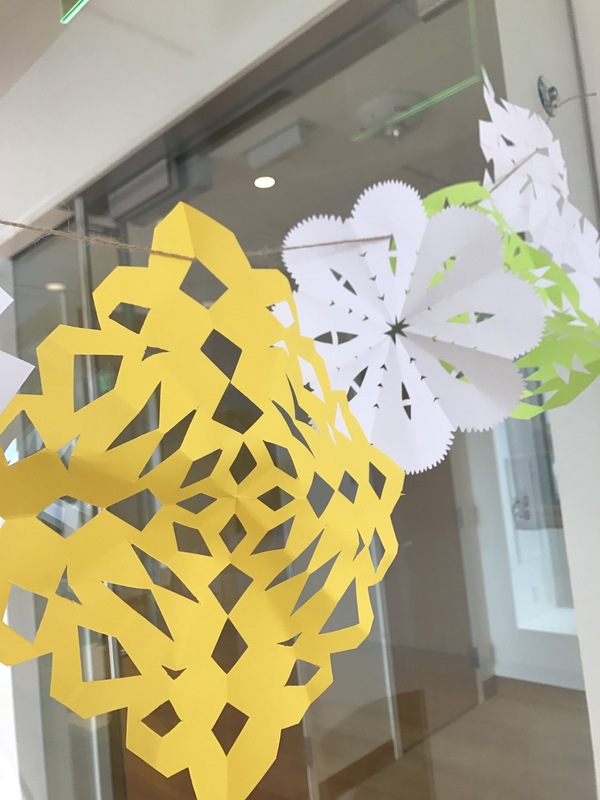 On the third floor, visitors made brightly colored snowflakes to the sounds of smooth bossa nova, in the spirit of our current exhibition. The warm weather was a welcome change from the bitter cold and made playing in the mountains of snow that much more fun. 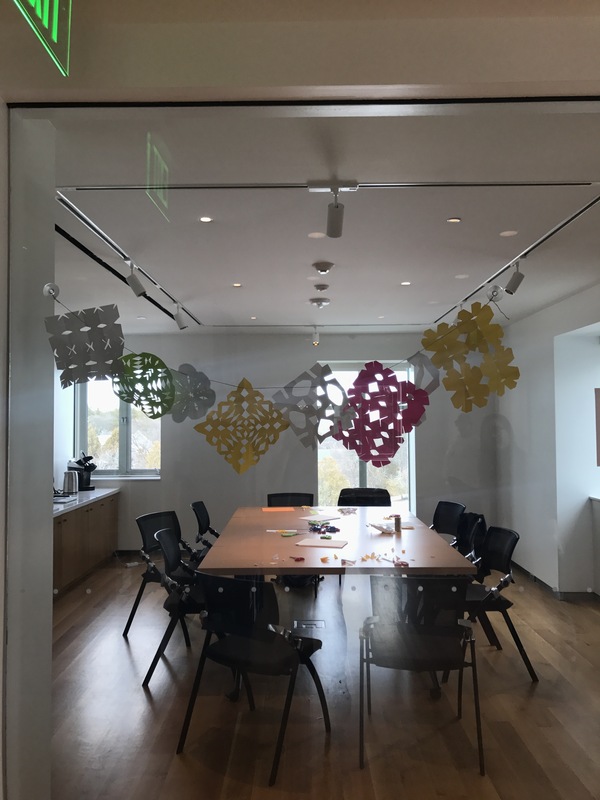 Join us next time when the McMullen heads outside to welcome the warmer temperatures of spring.